Color Colorless, white, grayish, yellowish. Cleavage Perfect 1 direction; fracture conchoidal, brittle. Note: This mineral is extremely hard to cut because of its softness and cleavage. Gaylussite dries out slowly in air and the surgace may turn white. Therefore it strongly recommended to store this stone in sealed containers to prevent dehydration. 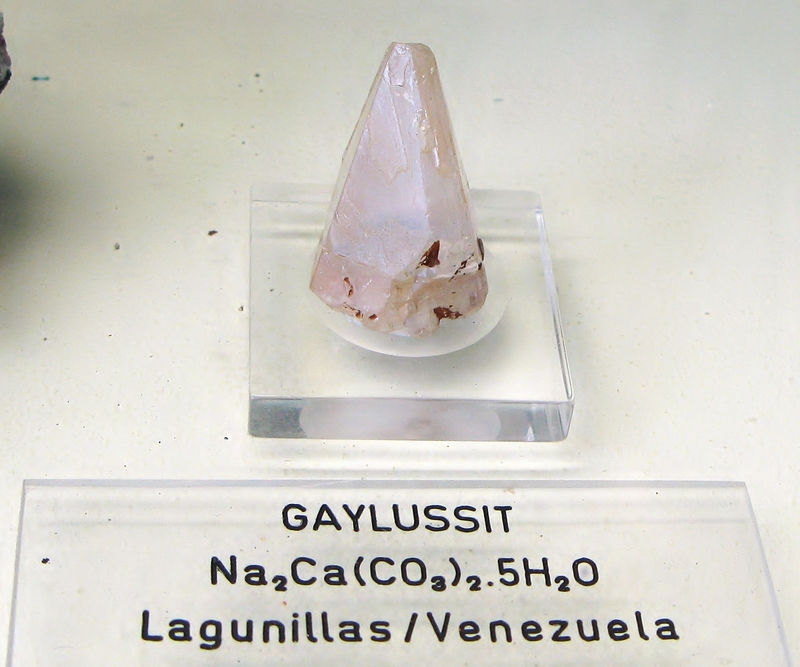 Gaylussite is seen only in collections, and relatively few stones have been cut. Transparent crystals are not very rare, but cut gems are relatively uninteresting. 1- Color Encyclopedia of Gemstones, Joel E. Arem, VNR publications, New York.